Losing weight and gaining fitness are often treated as complex goals, but the processes are simple when you enlist the most powerful personal trainer there is; your own mind! There is no great secret to losing weight. 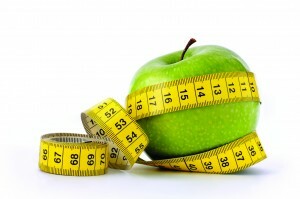 Simply put, if you eat healthily and exercise regularly, you will lose weight. There is nothing more complicated about it than that. In order to make these healthy changes long-term, it is important to prepare your mind for weight loss. 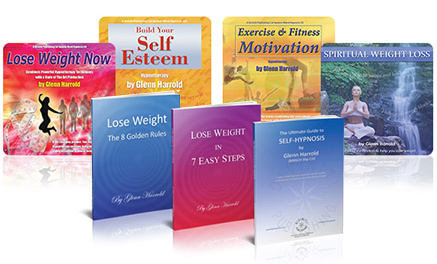 Here are my tips to help you to start making healthy, positive changes to your mind. Being overweight is a choice. The decision making that led you to your current state may have been unconscious, but it was a series of choices nonetheless. This is a good thing! Just as you have chosen to be overweight, you can choose to change. When you have made the decision to become fit, you have taken the first step in a journey to a happier, healthier you. Use the following hypnosis technique to prepare your mind for your new healthy lifestyle, and to keep you on track as your continue your journey. Use this self-hypnosis technique for 10 or 15 minutes, or longer if you prefer. Making lasting changes to your health and fitness should be done for you, not to impress or please others. Becoming fitter naturally improves your confidence and your health, and there is no more worthy target to aim for. In the early stages, keep your progress private if possible. As you continue on your journey, you may find that some relationships change. There may be those in your life that are not comfortable when loved ones make positive changes. This may be due to their own insecurities, and can be particularly apparent when it comes to the area of weight loss. This can be challenging and disheartening. If you avoid discussing your new lifestyle, no one can hold you back. The word ‘diet’ is a negative one, with associations of self-denial. Thinking of yourself as being ‘on a diet’ also sounds temporary. How many people reach their goal weight, stop dieting, and then pile the pounds back on? Banish these negative words from your vocabulary and replace them with phrases like ‘healthy eating’ and ‘my new healthy lifestyle’. There will always be the occasional day when you eat unhealthily, but it’s vital that you don’t let this affect your progress. Don’t feel as if you have undone all your hard work, or punish yourself for your mistake. Instead, look forward to getting back on track, knowing how much better you will feel when you return to your new and improved lifestyle. Being properly rested, through healthy sleep, meditation, or mindful exercise such as yoga, will help you to control your energy levels. This in turn, will help prevent sugar cravings throughout the day.